Europe only provides a small group of experts that have long-term experience in INKJET digital printing for industrial applications. It benefits from a good mix of knowledge in the areas of mechatronics, chemistry, production and design. All INKJET applications are individual. By such individual experts INKATRONIC has been founded to make this knowledge available to the market. WE ALLOCATED BROAD KNOWLEDGE IN INKJET PRINTING. OUR PROTOTYPING CENTRE ENABLES PERFECTION. Our prototyping centre is the core of our business and assures that we can test the different INKJET applications before handing them over to you. Your benefit: High-quality printing tests and production of small quantities to coordinate primer, ink and topcoat and to develop the engineering of the printing technology. Do you want to test your INKJET solution before the actual launch on the market? Do you want to provide your sales team with high-quality samples? We are happy to provide our beta/ small series service to test your product on the market. Your benefit: Your client’s feedback is constantly improving the quality of the product. 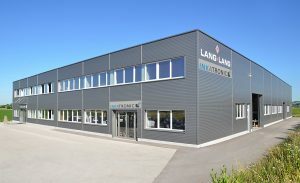 Our headquarter is located in Leonding, Austria, a place to benefit from perfect infrastructure, state-of-the-art technology knowledge and good quality of living. Also our clients enjoy training sessions in our base. Our core element – the prototyping centre – is also located here. Together with our international offices in Germany, Hong Kong and Dubai we are able to offer a mix of centralised competence and regional proximity.